The I-7188EX, Embedded Internet/Ethernet Controller, focuses in Embedded Control applications while the I-7188EN, Internet Communication Controller, focuses in communication applications. 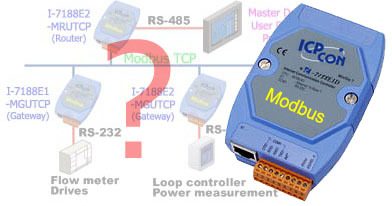 According to different embedded firmware and application program, the Internet Communication Controller can be used as Device Server or Addressable Ethernet to RS-232/485/422 Converter or Embedded Internet/Ethernet Controller. The user should refer to comparison table to choose optimal product. Now we offer wide range Internet Communication Controllers, such as I-7188E1 / E2 /E3 /E4 / E5 / E8. 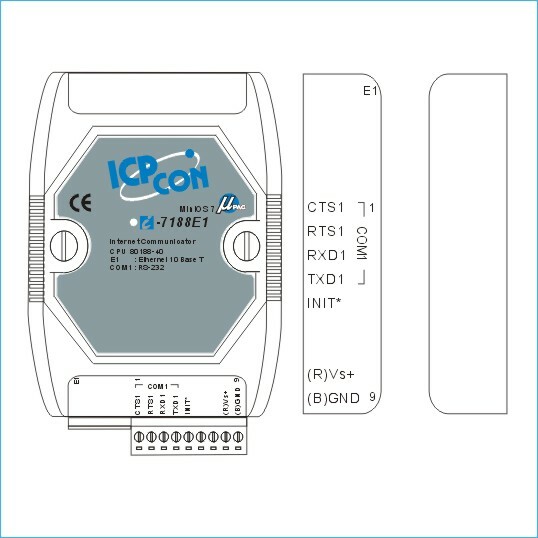 Except the RTC circuitry, the basic hardware of I-7188EN is similar to I-7188EX. Since there are too many configurations for I-7188EN series product, OEM or ODM version is welcomed.Can be used as Addressable Ethernet to RS-232/485/422 Converter.